Laura combines science, storytelling and Indigenous perspectives in her work, which she has done for over 15 years in work ranging from long-form journalism to social media videos. She has studied Te Reo Māori at Te Wānanga o Aotearoa, Māori Science at Victoria University of Wellington and Native American Studies at the University of California, alongside a degree in Human Genetics and a masters in Science Communication. Laura is passionate about accessibility, inclusivity, diversity and equity. She also loves travelling, art in all forms, diving and skiing/snowboarding. Ceridwyn Roberts is Communications Director at Motu Economic and Public Policy Research. Before starting at Motu in March 2015 and discovering she was really a science communicator, she worked in a variety of fields including wind energy, productivity, tertiary education, the performing arts, social services, and vehicle manufacturing. She has a degree in theatre and in ancient times was one of Aotearoa’s top drag kings. Ceridwyn is addicted to social media, is known for bringing haiku into science, and loves working with journalists. She is currently Vice President of SCANZ and the co-director of Story Collider in New Zealand. More about Ceridwyn is here and here. 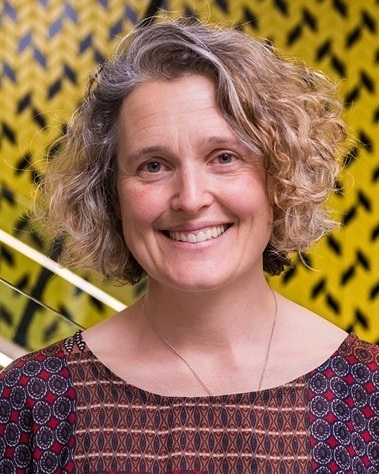 Rhian Salmon is Deputy Director of the Centre for Science in Society at Victoria University of Wellington, and a Principal Investigator in Te Pūnaha Matatini Centre of Research Excellence, the Deep South National Science Challenge, and the MBIE-funded SeaRise project. She carries out research, teaching and practice in public engagement with science, especially related to climate change and other “controversial” science-inflected issues, and design development of public engagement programmes. Veronika is the New Zealand editor for The Conversation, a not-for-profit media organisation working with academics to provide evidence-based news and current affairs analysis. She is an award-winning science/environment writer and broadcaster, with experience across all media platforms. Before joining The Conversation, she produced and hosted RNZ’s weekly science programme Our Changing World, and she has written several books on science, most recently Towards a Warming World, published by Bridget Williams Books, and Science on Ice: Discovering the Secrets of Antarctica, published by Auckland University Press. Dacia is Director of the Science Media Centre. She joined the SMC at its launch in 2008, bringing extensive experience in radio, film, documentary and television news in the US, China and New Zealand. Over the past decade, she has designed and led initiatives to broaden New Zealand’s network of media savvy experts, improve journalists’ understanding of complex science issues and make relevant information accessible to media when science is in the headlines. She is an Adjunct Research Fellow with the Science and Society group at Victoria University of Wellington. Dan is Director for the New Zealand International Science Festival, based in Dunedin and other centres. His background is in creating and managing major events, from strategic planning, to concept and execution. An integral role of the Science Festival and SCANZ is to communicate science to the non-scientist in a way that is easy to understand and relatable, which Dan believes is more important than ever - given that the world is so increasingly reliant on science. Emma is Senior Lecturer at the Joint Centre for Disaster Research (Massey University/GNS Science). Her interests lie at the interface between physical science and critical decision makers, with a primary focus on enhancing the communication of science advice during natural hazard events. Research has included exploring the communication of forecasts, model uncertainty, probabilities and risk; identifying what motivates preparedness for disasters; as well as how citizen science can build community resilience. Emma – a Brit by birth, a Kiwi by choice since 2005 – is Communications Manager at Plant & Food Research. She has close to 20 years’ experience in science communications, including corporate communications for biotechnology and medtech companies, and media relations for the University of Auckland’s faculties of science and medical and health sciences. She is also the National Convenor of the Association for Women in the Sciences. Haritina is an astrobiologist. Director of the New Zealand Astrobiology Network, Director of Milky-Way.Kiwi and Senior Science Communicator at Museums Wellington she is actively involved in creating networks that engage space scientists with communities through hands-on programmes. Organiser of New Zealand-led missions at the Mars Desert Research Station in Utah, she contributed to research regarding human factors relevant to the human exploration of Mars. Haritina came to New Zealand from Romania for the night sky and has been working at Space Place - Carter Observatory since 2005 presenting and promoting space sciences to thousands of young New Zealanders. Mike is Media & Communications Advisor at Ngā Pae o te Māramatanga. He has more than 20 years’ experience in the creative and business industries as a media and communications manager, producer, director, researcher, writer and oral historian. With a BSc & MCPA (Masters) from the University of Auckland, and with a specialty in oral history interviewing and oral tradition filming & archiving, Mike has spent the past 15 years working on culture and heritage projects across the country. His recent research, writing and filming has focused on traditional knowledge and new media, cross cultural communications, waka traditions and associated kōrero, and the mapping of traditional landscapes and marae. Fabien is a Senior Lecturer in science communication at the University of Otago's Centre for Science Communication. He works on the interaction between science and society, focusing on the role of ethics and economics in social decisions around science. A skilled and creative science communicator, Penny has had extensive experience in the dissemination of science information to a wide range of audiences and working with others to get science into policy and practice. Her passion is for the environment, but she has worked in a number of other fields including health, disease control/epidemiology, pest management and engineering. Penny lives in Karori, Wellington, with her husband, her youngest son, her niece and her two dogs – Tank the Pug and Rhino the Shih-tzu. Susan is a neuroscientist by training and a science communicator from passion. They aim to grow acceptance of, compassion for, and inclusion of people with psychological and neurologically based disabilities through their education efforts. Originally from sunny Hawke's Bay, Susan now lives in frosty Dunedin where they enjoy exploring the rich wildlife, science, arts, culture and coffee the city has to offer. Becky recently completed her PhD in marine biology. Her career has largely been as research technician collecting data in the field or lab. She’s keen to carry on her research and has gotten involved with SCANZ to improve her science communication skills. Georgia is a Wellington-based PhD student in cell biology studying mitochondrial transfer. She volunteers for SCANZ as part of her amateur interest in science communication alongside blogging and tweeting. She is also passionate about podcasts, politics, and making science accessible.